Rhode Island my be a small state but it’s packed with opportunity and sometimes being so close together amazing things happen. 3DPPVD is very excited to announce that we are working in partnership with the world leader in plastic composite linear motion products, igus (yes, they don’t capitalize their name). igus is a german company but their US headquarters is rooted firmly right here in Rhode Island in East Providence. You may have heard some of us talk about igus before, all of the linear guides in the 3DPPVD CastMax printers are from igus, we are big fans. 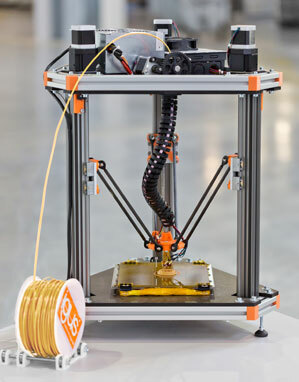 The igus team like the 3DPPVD team have realized that 3D Printing is going to be a big part of our future. To help drive that future, igus is releasing a new filament to the market, tribo, that is designed to help withstand mechanical wear. This means not only can you purchase bushings from igus for your project, you can also design and print your own. igus and 3DPPVD are working on some big plans for the future and to kick things off, we are hosting June’s meeting at the igus head quarters in East Providence. As usual this meeting is free and open to the public and all skill/interest levels. We will be getting started at 7pm on Wednesday, June 11th. The new igus HQ is located at: 257 Ferris Avenue, East Providence, RI 02916. If you are planning on attending, please shoot me an email info@3dppvd.org to let me know so we can get the igus team some rough numbers. Oh and don’t forget to bring your printer along to show it off to the group. We look forward to seeing you all there!